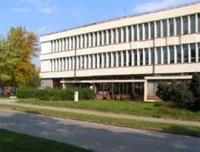 STS, the Serbian Tribology Society, has been founded in 1992, and until 2007 it has been known as Yugoslav Tribology Society. Its members belong to universities, industries and research centres interested in tribological problems. Balkan Tribological Association whose head office rotates every three years. Up to 2011, the head office was in Sofia (2 times), Thessaloniki, Bucharest, Kayseri and Kragujevac. From 2011 to 2014, it will be in Thessaloniki. R & D in different sector of tribology, particularly in tribometry and tribodiagnostic, lubricants and new tribomaterials. The members of the Serbian Tribology Society realise, in collaboration with the industry, many practical and scientific programs that have been supported by the Serbian Government or corresponding international funds.